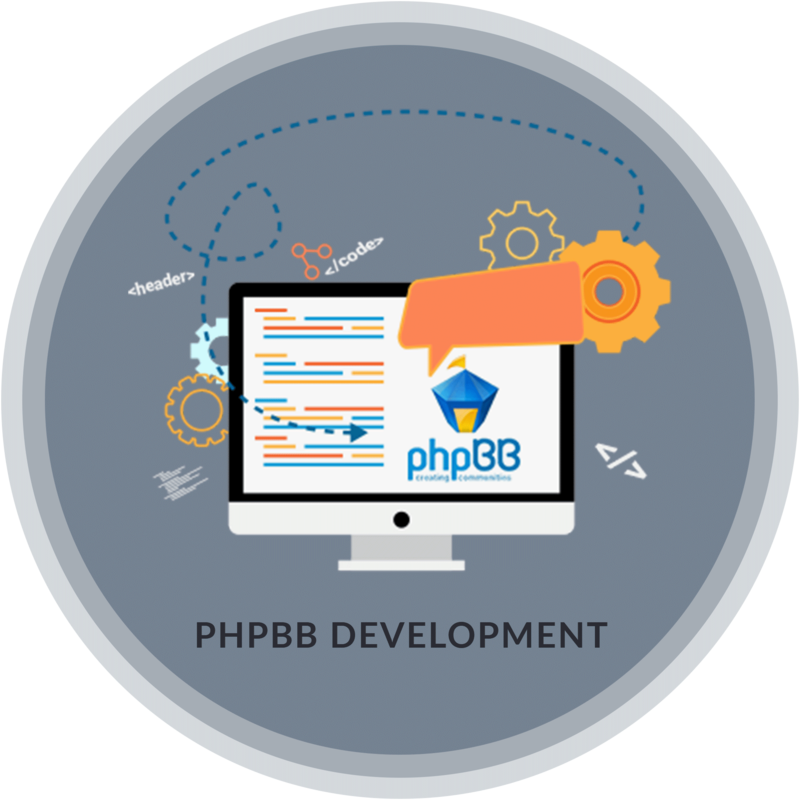 Support Your Multiple Database With Our Phbb Development. Php BB is an internet forum package in PHP scripting language. Phpbb is a fully customizable and extendable software. PhpBB offers a browser based admin control panel that can be used to setup and manage discussion forums. To participate in the forum, users can register with the website and subscribe to selected discussion groups. It allows administrators and webmasters to create infinite forums, categories, users, user groups, and moderators providing different access rights to the forum. We bring qualitative, elegant and user-friendly forums to clients at an affordable price. PhpBB even supports search engine optimization that enable its clients to achieve top positions in search engine results and provides awareness to keep fine tuning on the Internet. With phpBB and SEO, your online presence will grow at a full potential with the help of the relevant SEO friendly URLs. Any layout and design modification can be made easy with PhpBB template-based architecture. E-mail notification is provided to the users. Users can create their profiles, upload and attach images to their profile. PhpBB utilizes an advanced caching system which increases performance. Modular design for the admin control panel, moderator control panel and user control panel. Support multiple database management systems, including MySQL, Microsoft SQL Server, Oracle, SQLite, Firebird, Open Link, Virtuoso and other ODBC-accessible DBMSs.